* I received an ARC of this book in exchange for an honest review. First things first - I loved this book! Rebel of the Sands is a fast-paced, adventurous read. It's YA, but it has elements of so many different genres thrown in that it shouldn't work, but it really does. Action, adventure, western, romance... this book has them all. On top of all that, the book's reality is infused with magic. Some important themes are dealt with in the story. The harsh realities of living in an inhospitable place, rebellion and the fight for power (a very current issue in the world today), even what it means to be a woman and the problems women have living in an inherently male-oriented world. However, these issues aren't at the forefront of the book. 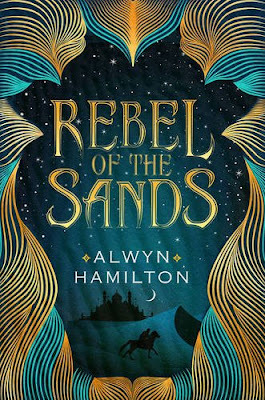 The magic and myth surrounding the desert landscape is captivating, drawing you into the world Hamilton creates, weaving the story around the reader to keep you turning page after page. I'm not usually a fan of the western genre in any medium, but the little touches of it present in this book are great, really adding to the story. The location and the inital set-up are classic western tropes (even if it is infused with fantasy), and further snatches of the genre surface at points throughout the book. Rebel of the Sands is at its heart, a story of two characters. Eastern Snake and the Blue-Eyed Bandit - the two are what really brings this story alive. You have to admire their pluck and courage. No matter what situation arises and what they face, they go into everything head first without any doubts. Amani is one of the strongest female leads I've read about in a long time. She doesn't need her romance; she wants it. 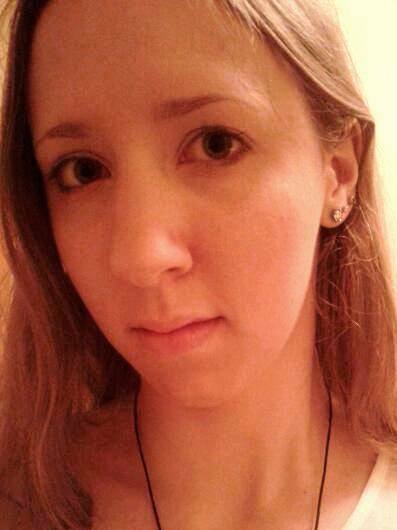 She's perfectly capable of taking care of herself, and doesn't need a man to fight her battles. She's smart and sassy, but not annoyingly so, and is a really strong, likeable character. The locations and setting are another strong point. Hamilton writes in such a way that you can really picture everything she's talking about as if it's right there in front of you. She's not an overly descriptive writer, but the sparse description she does use is all you need. It's not flowery, it's not over-written, but it fits the whole nature of the book perfectly. If you have a chance to read this book, I really recommend it. It's a great read and will be well worth your while. One of the most exciting books of the year so far! Rebel of the Sands is available to buy now. Will you be reading Rebel of the Sands? Let me know in the comments below! Super Bowl 50: A golden game?